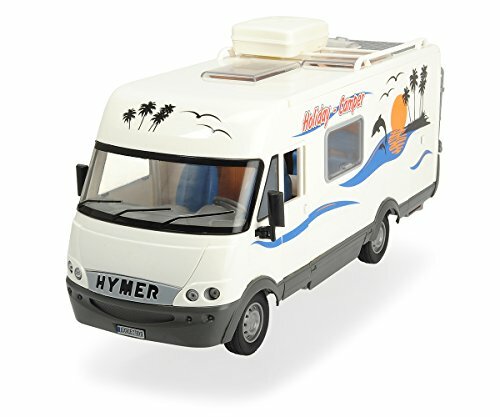 There are quite a variety of cool campervans for kids and which child would not love a lovely campervan. 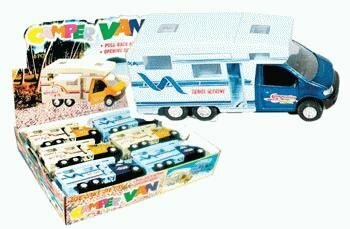 I remember the first campervan my kids had. We had just moved to Australia and went to a flea market and found this Hannah Montana Campervan for just $5. My kids loved it. And they play so much with it. Unfortunately, I do not have a photo of it any longer. But did they play with it? My daughter was only 2 when we got that, and she played for years . And my son was 5, and he played so much. I remember it had a table and chairs, which with time they got lost, and it open from the roof and the back. I am now feeling melancholic. kids grow so fast. But my daughter still plays with her Calico Critters Caravan toy, And there are other Caravan toys she has looked at. She would love some more. It is a strange age being 9 because she still wants to play with dolls and playhouses, but all the time. And didn’t we play with dolls until much later? I hope she does, but the Ipad seems to take priority here. That is the reason I am happy when they choose to buy a nonelectronic toy like the Fidgett spinners, or even a doll. I get her point, she says she cannot play on her own and wants me to play with me or a friend. But obviously, she can use her Ipad on her own. 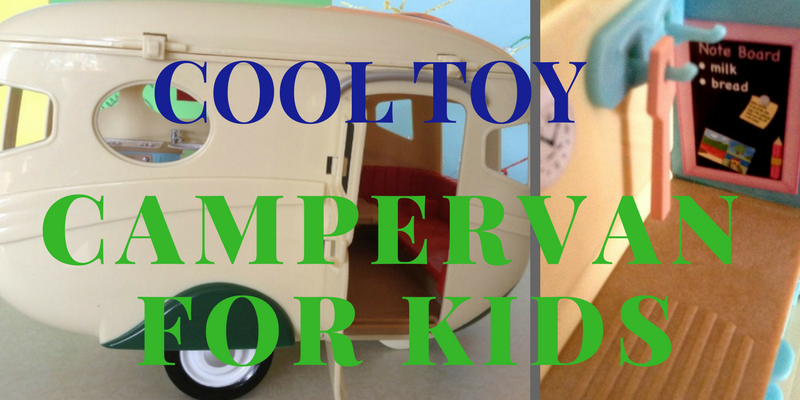 Since I saw so many nice Toy Campervan for kids I decided to make a list of the ones I thought were very cool. 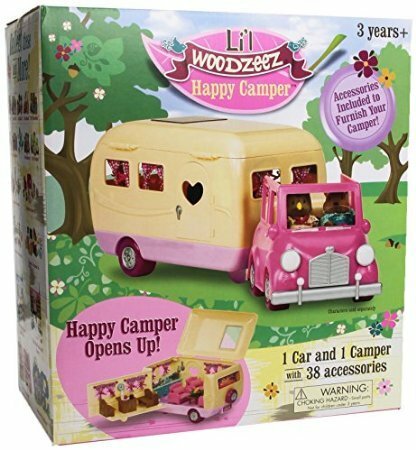 Lil Woodzeez Happy Camper is a caravan similar to the Calico Critters Caravan Toy, Lil Woodzeez are little creatures similar to the Calico Critters also known as Sylvanian Families. Lil Woodzeez is a set that was created much later than Calico Critters and the creatures live in Honeysuckle Hollow. 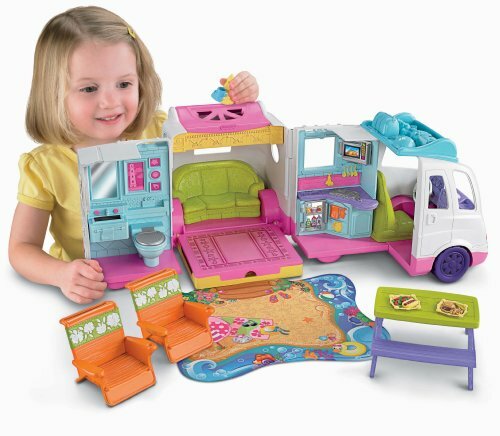 The set is a cheaper version of the Calico Critters one, but with their own personality. The Lil Woodzeez Camper set is very nice. I need to confirm if it actually comes with the car that pulls it or not. I will check in the shops. We do not have this camper yet. Inside the camper is very spacious and similar to the Calico Critters one. You can open the roof and the door and the back door. It comes with a kitchen and lots of food. It actually has more food than the Sylvanian Family one. It also comes with a set of lounge suit and a sofa bed. It also comes with table and chair set and the kitchen of course. Like the Calico Critters Caravan set it has an under the floor storage space, where you can find a suitcase to put clothes. It does not come with any creatures. You will have to get those separate. 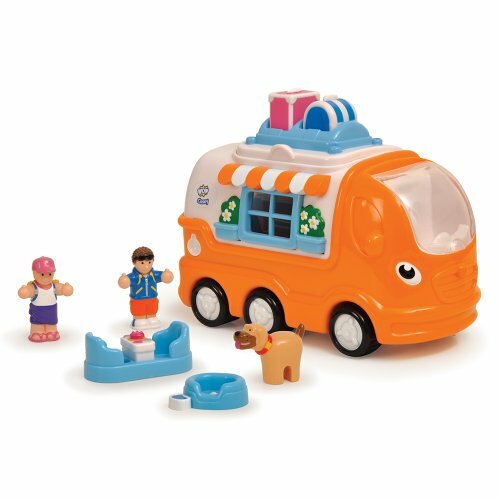 The Calico Critters Family Camper, also known as the Sylvanian Family Caravan, is so cute. I Have done an extensive review here where you can see wonderful photos of the same one. This is one of my favorite Caravan for this price. The thing is that it has lots of details, like the extra bed on the roof, with the sleeping bags. The board games and maps that you can neatly put in the draws of the desk. It also comes with a sofa where you can fit several critters. And of course, the kitchen set with the iron, kettle and some plates. I also love the toilet complete with shower and how you can put the toilet away when you do not need it. The caravan same as the Lil Woodzeez caravan opens at the top, and it has a front door with some steps for the little critters. You can read the whole review and look at the photos. 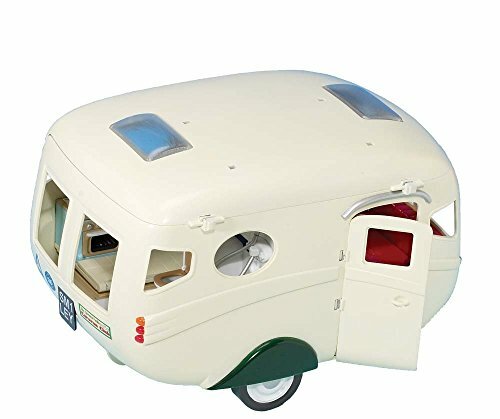 It comes with lots of details and I think is a great toy for anyone between the ages of 3 (yes there are small items) to 12 Though if you want your younger child to play with it., you could keep the smaller pieces aside and let her play with the caravan. 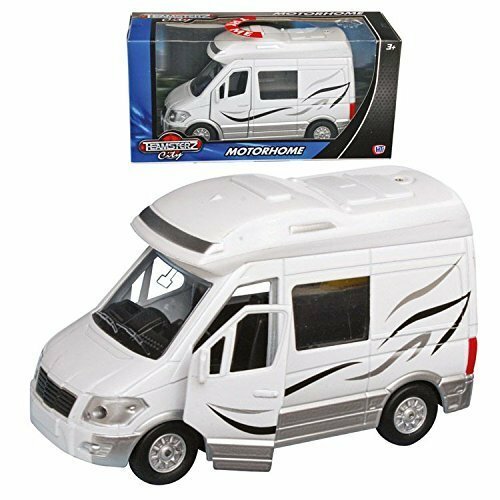 These toy caravans are not suitable for children younger than 3, but you can always keep the small pieces safe till your child is older. This Fisher-Price Loving Family Beach Vacation Mobile Home looks adorable. I have not seen it until today when I searched for all the mobile homes or caravans. It has 5 large rooms, including a toilet. It opens wide, s o when the mobile home is parked, it is really comfortable. Yeah! I want to go camping now. It has a kitchen, a toilet, a lounge suit and a camping table. The toilet comes with a hidden shower. And I love the colors. I love the green with the pink of the lounge suite. And it looks so comfy. And you think there are not enough spaces to sleep, don’t worry there are hidden beds that if you flip something you can find. The loving family beach vacation mobile home comes decorated with an aquatic theme. It will provide lots of fun for kids as young as 3, and as old as 10. They can spend hours playing. This mobile home does not come with any dolls. When it comes to Barbie your imagination can run wild. Yes the child and the parent’s imagination, because with Barbie anything is possible. This is a great and unusual camper van. Yeah, you would never dream of having a camper van with three stories and a swimming pool. Yes, you heard right, a swimming pool in a campervan. 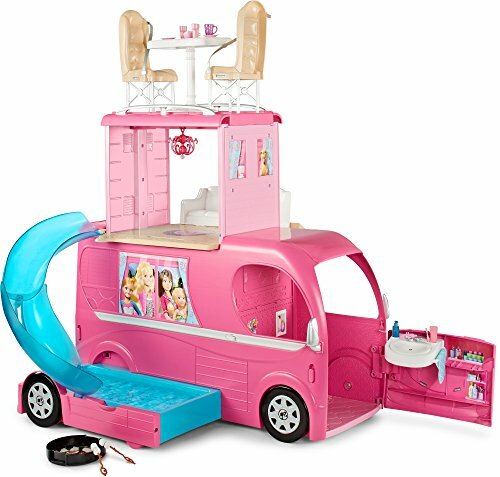 The Barbie Pop up camper van is a pink camper van, you would not expect any other color, would you? And like the name says it it is a pop-up van, because you can pull up the handle and convert it into a three-story house. The top floor is the dining area if you want to call it like that, with a table and chairs. You can also open the driver section, and lift the seats to find a toilet. You could not have guessed that. And the back converts into the kitchen. And what you would not expect is to find a swimming pool with a slide. I am sure your child would love this, like any child. Kids will spend hours playing with this campervan. And it is great for 5 to 10 years old. 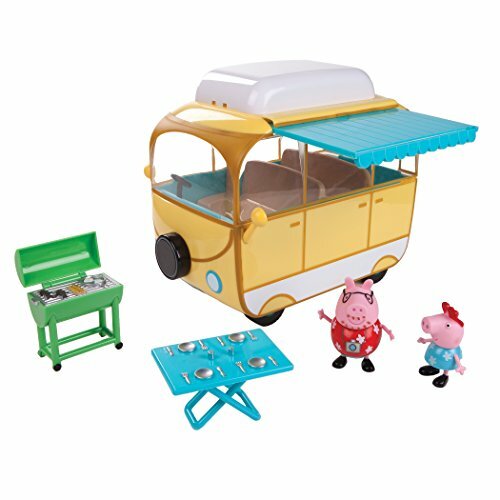 The above are my favorite the really cool toy campervan for kids. There are otehr ones, still nice but not as cool. YOu can see them below.